Sniper Elite is the original game that has seen great success across the gaming world and after playing this game for quite some time I can see exactly why. the game has great graphics and really does challenge gamers in an epic way as they attempt to navigate the forests in search of their targets. top game this one so would definitely recommend. 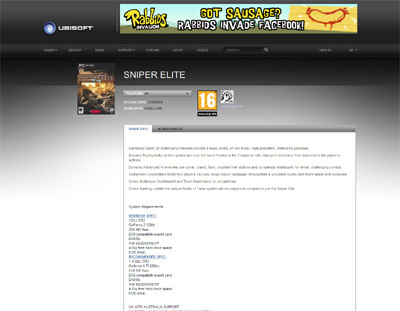 We have also compiled a Review System for this, of which Sniper Elite is Rated as Four Stars, the second highest possible score available from the Game Review Team.